Being pregnant ain't easy, and looking cute while expecting is even harder. 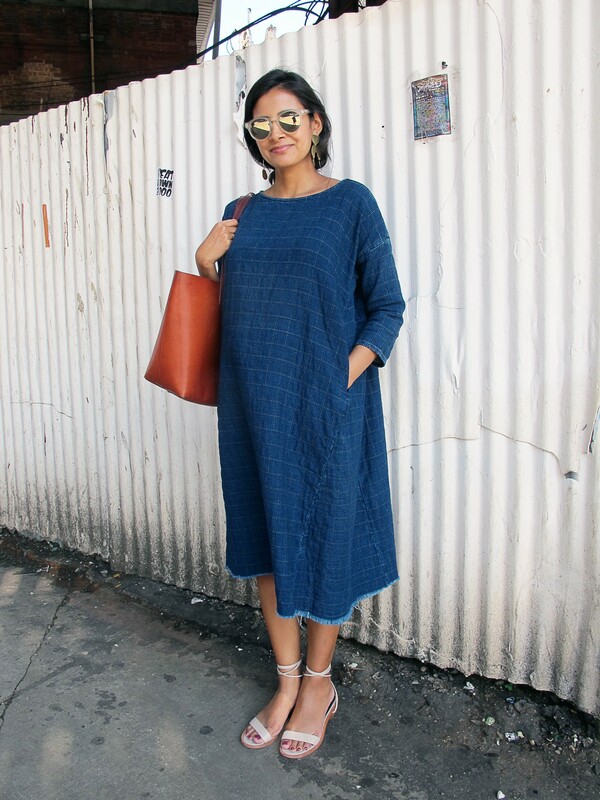 Some moms-to-be wear their belly loud and proud in stretch fabrics, but for those who prefer roomier shapes, like travel blogger Maleeha Sambur, a good old tunic can be the answer. Hers is a quilted denim number by the aptly named Creatures of Comfort. The beauty of such a garment lies in its versatility: it can fit you at any weight, andwith the right accessories can be worn virtually anywhere. 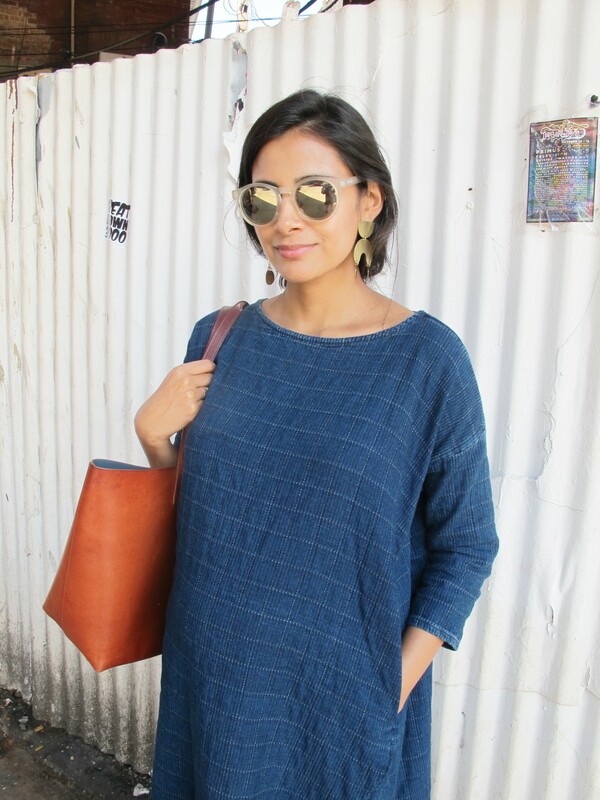 Maleeha kept it simple and cool with big earrings, and a very happening pair of clear sunglasses. Learn more about Maleeha's travels in Tangerine Journal, and see more street style in the Chicago Looks blog.